Description: Lichtsinn RV of Forest City, IA, Winnebago Industries’ largest volume dealership in North America for the fourth consecutive year, is hiring a full time RV Title Clerk to join our vibrant and energetic team. We are a progressive, high growth dealership focused on a premium guest experience in a new state of the art dealership facility. A successful candidate will have strong attention to detail, strong organizational and technology skills (including Microsoft Excel) and proven demonstrated ability to multi-task and handle shifting priorities. Responsibilities include: Processing all purchase and trade-in DMV documentation, updating and processing vehicle inventory paperwork from the manufacturer, maintaining accurate suspense logs for title transactions, verifying the accuracy of completed forms and select accounting processing and duties as arise. Hourly wage of $17-$20 per hour based on experience. Health Benefits and 401k Plan available. Pre-Employment Drug Testing is required. Applications will be kept in strict confidence. Contact: Please e-mail application and resume to Casey@Lichtsinn.com. Description: Lichtsinn RV of Forest City, IA, Winnebago Industries’ largest volume dealership in North America for the fourth consecutive year, is hiring additional full time RV Sales Consultants to join our vibrant and energetic team. We are a progressive, high growth dealership focused on a premium guest experience in an all new state of the art dealership facility. This is an incredible developmental opportunity in which the successful candidate will possess strong guest service communications skills and strong technology and organizational skills. We are dedicated to initial in-depth and ongoing product and professional training and development of the right candidate. Responsibilities include: Helping guests throughout the country purchase preowned and new RVs, utilizing phone, online and in-person contact. Working closely with guests to assist in selecting and purchasing the desired product, facilitating and executing a best of class delivery experience at our store and providing strong after-the-sale support. You will work closely with all dealership departments to ensure a high level of customer satisfaction for our guests throughout their initial RV purchase and entire ownership experience, focusing on best of class product knowledge, strong communication skills and responsiveness. Contact: Please e-mail application and resume to Heidi@Lichtsinn.com. Please print out application below. Fill in information. Application may be faxed to 641-585-5758, attention (contact person listed above) or delivered to the dealership. Adobe Acrobat Viewer is required to view this document. Please click here (a new window will open) to download the viewer from Adobe website. "I think it's great that we are recognized nationally. Living up to the reputation we have established is a good feeling." "You and your suggestions matter, you are treated with respect." "Everyone is so helpful when introduced to a new process or task." "Feels like a big family." "Opportunities to advance in the dealership." "We are treated with respect, rewarded with good wages and part of a respected team." "A great bunch of people to work with, good pay/benefits and a dealer that provides you the tools needed to succeed." "Friendly enjoyable team members. Everyone helps everyone." 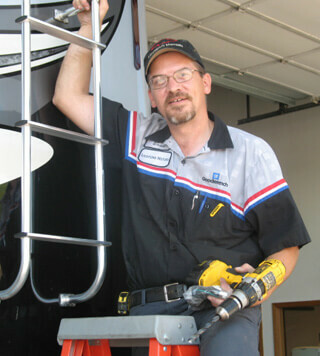 "Helping guests fulfill their dream of purchasing the right RV! Meeting and visiting with guests from all over the country." "Process-minded, rewards for hard work and a team atmosphere." "Highly talented, motivated, happy, and driven co-workers!" "We work as a team and are provided all the tools to be successful in our positions!" 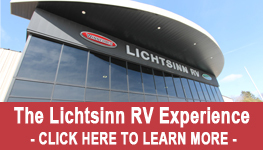 "Lichtsinn RV is interested in developing people who are interested in developing themselves." "The overall level of Guest Service we have the ability to provide to our guests within all departments." "We all work together to accomplish tasks." "The opportunity for growth as a person and everybody works together." "We are a progressive business that leverages technology, training and its people to achieve success." "Reputation and easy going, fun and positive work atmosphere!" "We get to meet amazing people from all over the country!" "Management Cares and is Involved/Support from Management." "I feel that we can work together on things and we all contribute to the team goals." "All management here is very approachable and understanding." "The stability is unparalleled in the area." "Managements concern for our training and making us better."